March 29, 2019 to March 30, 2019. Your entry fee will include tickets to BloomCon. 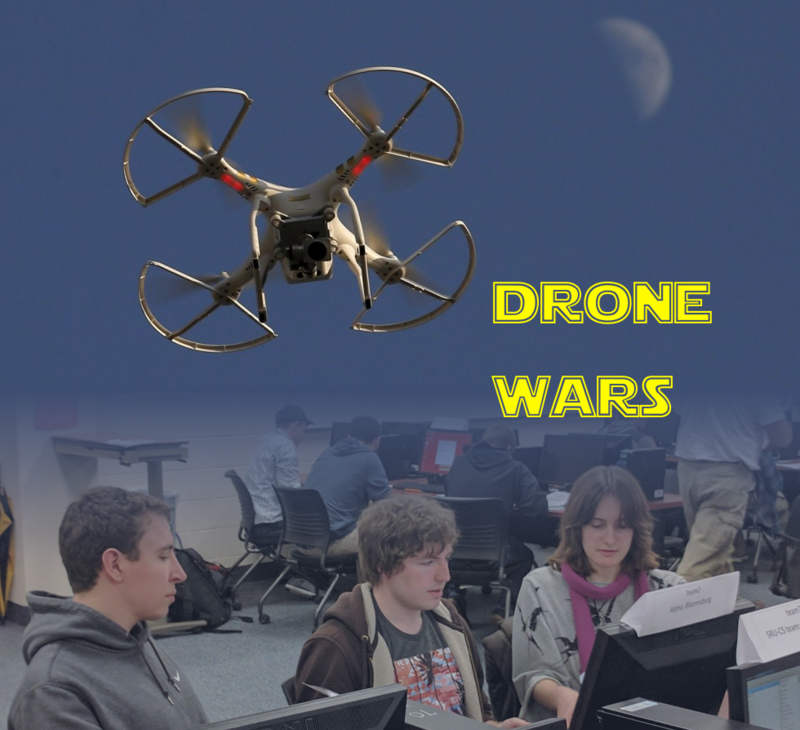 The Department of Mathematical and Digital Sciences in conjunction with the US Army is pleased to announce our second Drone Wars competition. The goal is to take over a Wi-Fi connected drone and fly it through an obstacle course in the shortest amount of time. The event will be held during our BloomCon Security Conference. We are planning for two competition classifications. Given enough entries, one bracket will be high school teams and another will be an open event. Teams of at most three individuals will hack into and command a Wi-Fi controlled “quadcopter” drone that we provide. The team that hacks into the drone and flies it through an obstacle course in the shortest amount will win. We will supply the drones so that all teams start on an equal footing. We will supply the specifications of the drones, but we will keep the actual manufactory a secret until the day of the competition. We will provide all the equipment needed (laptops, Wi-Fi, etc.) for the competition. 2. A device to control it with initially, such as an iPad, kindle, android, etc. 3. Laptop running kali Linux either as the host OS or virtualized. 4. One to two wireless card(s) that work for both monitor mode and packet injection. Please complete the registration form (.docx) and email it to Ashley Bilinski (abilinsk@bloomu.edu). You will receive further direction and a confirmation email. We have no limit on the number of teams from any organization.